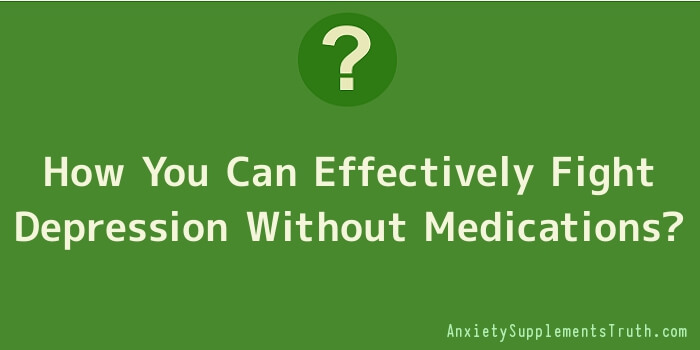 How You Can Effectively Fight Depression Without Medications? Depression can intrude on your life without warning. It can demand your total attention and make your life difficult. There are many ways that you can be helped. Doing research and seeking treatments for the kind of depression you have will help you to live a happy life. The tips below can help you with the process of getting better. Work on fixing your personal problems. Take it one step at a time to avoid getting overwhelmed and write a list of objective goals that need to be fixed. Write down all of the things that negatively affect your life and take down notes on ideas of how you can fix your problems. Taking steps towards fixing your problems really cuts down on your depression. Depression can drain your energy; make sure you stay active if you are dealing with depression. Exercise can help you shake off the blues; it keeps your endorphins flowing in order to stay positive. You can even get together with friends to exercise, double bonus when you are battling the blues. Writing a gratitude journal can be a great way of dealing with depression. A gratitude journal gives you a place to list all of the things you are thankful for in life. This can help you to focus on the positive, and give you something to refer back to when you are only thinking negatively. Surround yourself with beautiful things. When you can look around and see things that are beautiful and joyful, you, yourself, can feel more joy within and more positive as well. You will see just how easy it is to be happier when you can see pretty things all around you. If you suffer from depression, try to stay away from (or at least reduce) all types of sugar, even those that may seem healthy such as honey. Sugar reacts quickly in the body with a surge of energy and alertness however this is followed by a crash of fatigue and laziness, which can be a deterrent to combating your depression. Make sure you feel comfortable with your therapist. It is important that you feel comfortable in your sessions and feel like you are not being judged. Sometimes, it takes a few therapists to find the one that is right for you. Everyone has different styles and different ways of relating to people! Getting treatment for your depression ensures that you are trying to keep it under control so that you can live happier. That may not work with everyone, but it is really important to take control for your future. So, do yourself a favour and do your research, seek aid from a physician and apply the above tips to your every day routine.